Mae Whitman wins audiences’ hearts in the new teen flick, The Duff. Last week I took my 15-year-old cousin Maddy to see the new teen comedy, The Duff. Surprisingly, it’s not an ode to Hillary (Duff, get it?) but instead tells the tale of humiliation and redemption experienced by high-school senior Bianca who, thanks to her rude, jock of a next-door neighbour (who happens to be super HOT), discovers she’s a DUFF—designated ugly fat friend. That’s right, a DUFF is the girl (or guy) who is friendly and usually funny but who isn’t considered as cute and therefore makes all their friends look better by comparison. So even though she’s pretty, funny and smart, Bianca is dubbed the more ‘approachable’ one; the one guys will talk to … but only to get closer to her mates, mostly because she isn’t 6ft tall, likes horror movies and dresses like she don’t really give a sh*t.
The movie is loosely based on a novel written by 17 Kody Keplinger, a self-proclaimed DUFF, which has sold more than one hundred thousand copies. 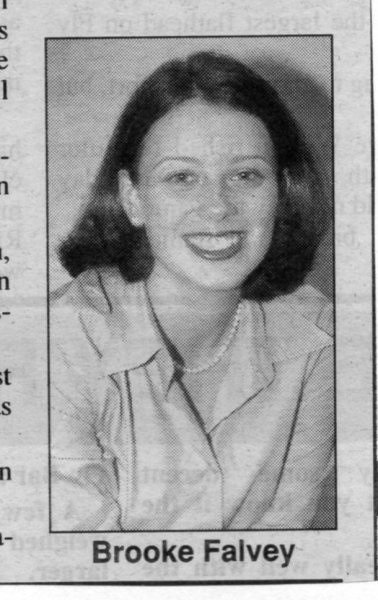 It also gave me flashbacks to my early days as a journo when I was definitely a DUFF to one of my colleagues who was pretty, smart, slim and a confidence I couldn’t imagine ever possessing, while I was the quiet 18-year-old with chubby cheeks, a brunette bob and a style better suited to Jana Wendt. I was the Robin to her Batman, the Skipper to her Barbie or the Velma to her Daphne if you’re a Scooby-Doo fan. But I’m pretty sure that thanks to a change in hair colour, the invention of hair straighteners and the rejection of plum-coloured lipstick, I’ve come in to my own these days. Sure there’s still moments when I feel like I’m the offsider to someone else, but I’m sure those people also have days when they feel exactly the same. At some stage, we’re all somebody’s DUFF. If you’ve got a teenage daughter (it’s rated PG13), or even if you don’t, but you still love a good teen movie, get along and have a giggle at The Duff. If not for the laughs and the flashbacks you’ll no doubt experience, then do it for Robbie Amell (and he’s actually 27 so it’s totally okay for me to be perving on him according to the ‘half your age plus seven’ rule!). I have five doubles passes for The Duff to giveaway. To get your hands on one of the passes, comment below and tell me what your favourite teen movie is. Tickets are valid for Australian cinemas only. Winners will be contacted by reply comment. The Duff is in cinemas now. I was just wondering whether you had received my email? I am a grown up DUFF searching for a sense of style as a mum – kind of retrograde lol. My favourite teen movie is Drop Dead Fred and I love the Nowhere Boys series on Rv (but don’t tell lol). I can only pick one? I was going to say 10 things I hate about you, but I thought I’d check my DVD shelf first and now I can’t choose between 10 things, Clueless (as if!) and Pitch Perfect. So many great ones!! Although I love Mean Girls, my most favourite teen movie of all time HAS to be Romy and Michelle’s High School Reunion. I have been waiting years for my high school reunion (3 more years to go) so I can rock up dressed like Romy and not give a f””k!